We take the building blocks of cloud and using proven strategies present you with the most cost effective, easy to deploy solution, to empower your business and deliver digital transformation. 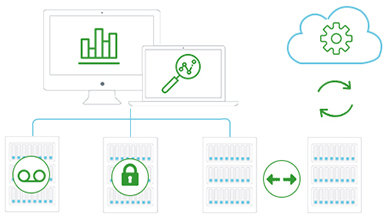 Modern data management delivers backup, instant recovery, replication, search, analytics, archival, compliance, and copy data management in one secure fabric across your datacentre and public cloud. The effectiveness of these processes determines the efficiency at which your business operates, and can result in significant operational and cost savings. Improving data management processes will reduce operational overhead. Storage underpins the components of the infrastructure in your datacentre, delivering the capacity and performance for all your application's data. Choosing the right storage solution is critical in ensuring your applications function as your business demands, whilst also considering scalability, high availability, efficiency and data security. 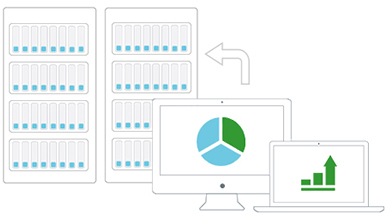 Next generation storage solutions give our customers a competitive edge. Converged infrastructure integrates best of breed storage, networking, and computing and scales seamlessly in line with your changing business requirements. While other approaches tend to proliferate operational complexity and inefficiency, increase costs, and hamper IT/business productivity, converged infrastructure provides a proven reference architecture to streamline deployment and time-to-value. Converged infrastructure allows our customers to meet the evolving and dynamic demands of the modern workforce with next generation private cloud. Hyper-convergence is a ground-up rethinking of all the services that comprise the datacentre. It is a way to enable cloud-like economics and scale without compromising the performance, reliability, and availability you expect in your own datacentre. 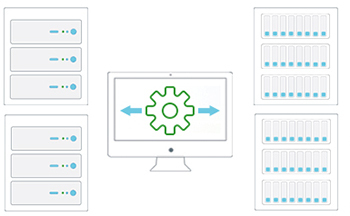 Hyper-converged technology natively converges compute, virtualisation and storage into a resilient, preconfigured appliance with a common toolset all supported by a single vendor. Hyper-converged solutions have allowed our customers to redeploy operational resources from installing and maintaining infrastructure to delivering innovative business value. The software defined datacentre (SDDC) delivers all the elements of datacentre infrastructure including storage, compute and networking using software. By abstracting these components from hardware, the SDDC extends virtualisation concepts to deliver flexibility, control, scale and cost, using pooled resources from commodity hardware. The SDDC can redefine many IT processes—including standardisation, automation and metering, improving service delivery, execution and assurance. 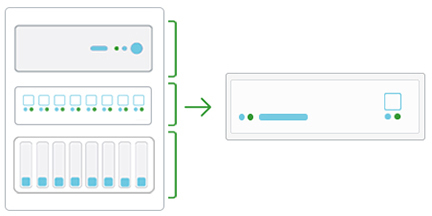 Hybrid cloud uses a mix of on-premises private cloud and public cloud services with orchestration between the two platforms. By moving workloads between private and public clouds as business needs and costs dictate, hybrid cloud gives our customers greater flexibility and more deployment options. Hybrid Cloud enables our customers to provide ‘business correct’ services to their customers. Since 2012 NG-IT have designed and deployed more than 175 next generation private or hybrid cloud solutions for our customers, ensuring over 30,000 business applications and 12,000TB of our customers mission critical information is ready for business. "Our immediate perception of the NG-IT team was that they were very switched on and extremely responsive to our needs. Other suppliers we had encountered during the evaluation process were very sales focused, presenting us with a solution which wasn’t really customised to suit our needs." "We are able to provision new business systems in hours instead of weeks and now have a flexible and scalable data centre infrastructure 75% smaller and three times more powerful than our last." "To go from an idea, to gaining approval and then installation in the time taken for this solution has been a complete revelation." Optimise business applications and data storage to adapt to the variable demands of the most critical workloads. Keep costs low with efficient infrastructure and simple management. Flexibly and easily scale to handle growing and increasing end-user needs. 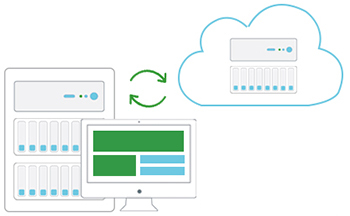 Enable frequent and fast backup, simplified recovery, and affordable disaster recovery. Simplify deployment & increase time to adoption of new business applications with proven solutions. With a solution from NG-IT meeting business criteria around service levels, costs and timing is easy.